(l to r) Breathing Trash Bag-Pair (13 gal); Vertical Tentacle-36; Breathing Trash Bag Nest; Vertical Tentacle-34-Breathing Trash Bag (blue angel eye), 2017, computer cooling fans, plastic bags, plastic sheets, plastic cake container, LED lights, mixed electronics, photograph by Stephen Briggs, copyright Worcester Art Museum. Nearly 50 years ago, the Worcester Art Museum hosted “Light and Motion,” a groundbreaking exhibition in which the participating “new kineticists” turned to “light and movement to produce a new sensibility.” This summer, just as those artists used the latest “electrical elements, lenses, Polaroid filters … and other non-traditional media” to modernize its viewers’ senses, Shih Chieh Huang’s “Reusable Universes” reinvents the possibilities of what a gallery space — and museum experience — can be. It only takes a peek inside WAM’s darkened (for this exhibition) Contemporary Gallery to be drawn into a multisensory visual experience not unlike a Disney ride through a new world. And while the collection of seven mesmerizing kinetic sculptures may have features viewers will automatically attribute to being similar to sea creatures, that’s more your imagination at work than the artist’s intention. “They’re not modeled after any specific creatures that exist,” Huang said. To read more, pick up a copy of our latest issue! 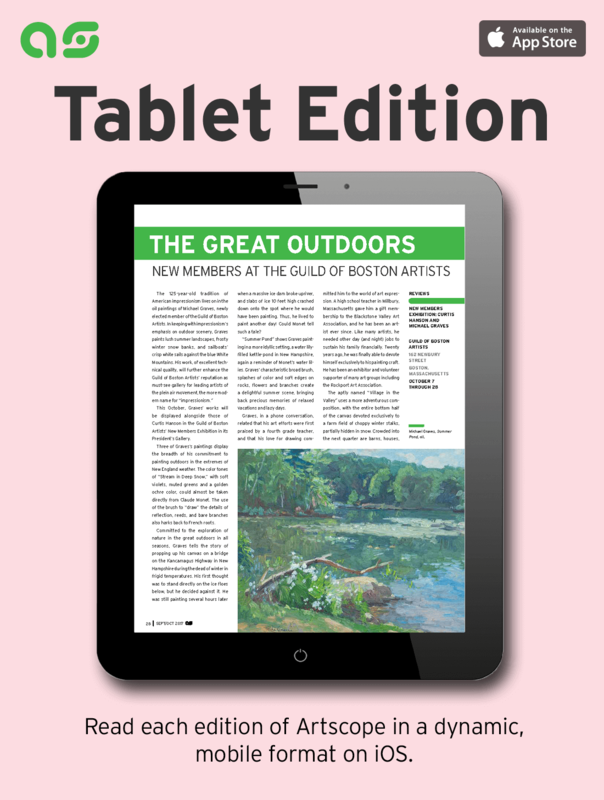 Find a pick-up location near you, Subscribe Here or Download the tablet edition available on iOS.